What I have is an EA working from 2000, but it is not optimized. The EA works by Moving Average trend and RSI signals at overbought & oversold areas. It doesn't have targets but instead closes with soonest profits, so it's purpose is to always win. The inputs include money management and indicator settings; the signals occur when the RSI is in overbought or oversold and price has moved above or below moving average price. 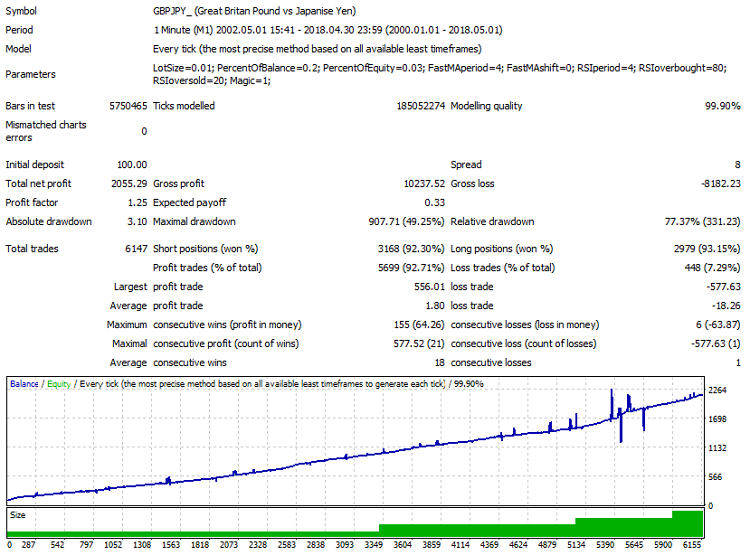 V1 tends to have trades open for extended periods of time and on higher timeframes especially. V2 manages volume and uses lots of margin so it means you need a high leverage to minimize drawdown. Be sure to use low spread & commission and test with the best data as always.